Sublative Rejuvenation with eMatrix is a unique procedure which uses radio frequency to deliver an effective but controlled ablative and non-ablative fractional treatment for wrinkles, scars, large pores and better texture of the skin. 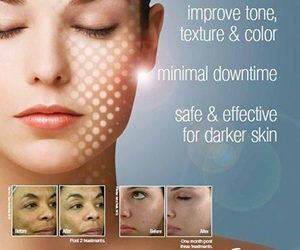 It is safe for all skin types & visible results can be achieved in 3-6 treatments. There is minimal downtime & is easy to go through.